In Honor Of All Who Fight Cancer. Shark Fishing and Fighting Cancer! Darrayle Prosser's Day On The Water. This is to all that fight to live! Never Give Up!. Yes there are some typos but you get the drift. This is for our good friend Darrayle Prosser and we are all there for you and your family. Keep fishing buddy! Darrayle Prosser with his monster 7 gill after a few more trips out to the ocean. 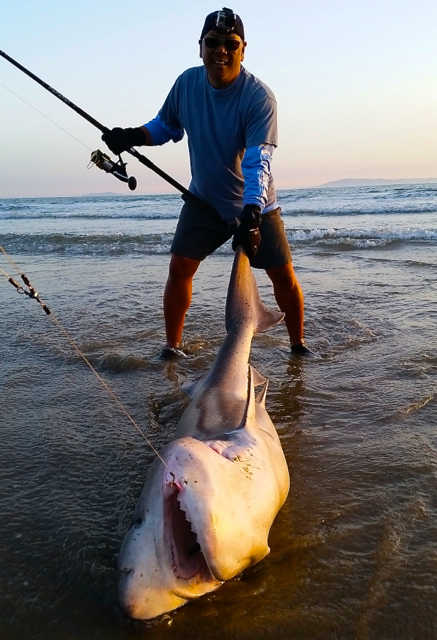 Daiwa Sealine Surf Rods And 150+ Sharks: Can They Handle It? the BBZtv goes after 7 Gill Sharks "NEAR MISS SHARK BITE"!!!!!!! !